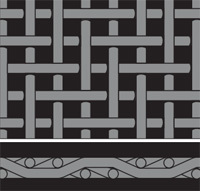 Twilled Weave is produced by passing each fill wire alternately over and under two warp wires. The pattern is staggered on successive warp wires, giving the appearance of parallel diagonal lines. 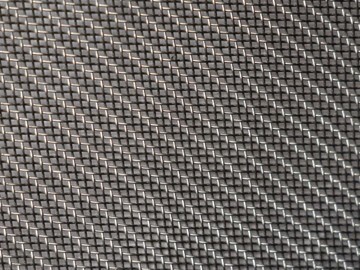 This weave allows the use of proportionately heavier wires in a particular mesh count (number of openings per lineal inch) than is possible in plain weave. This cloth has a wide application capable of supporting greater loads and finer filtrations.